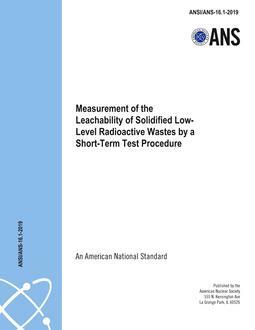 This standard establishes typical long-term concentrations of principal radionuclides in fluid streams of light-water-cooled nuclear power plants for use in estimating the expected release of radioactivity from various effluent streams. These fluid streams are: the coolant of a boiling water reactor (BWR), the coolant of a pressurized water reactor (PWR), and PWR steam generator fluids. The concentrations in fluid streams of BWRs and PWRs are treated in a similar manner but have different numerical values because of the differences in design. The numerical values given in this standard are based on available data from operating plants which use zirconium-clad uranium dioxide fuel. The values are given for a set of reference conditions, and criteria are provided for adjusting to other conditions.